The raw beauty of the Languedoc region in France has inspired many artists, including René Lalique who designed the original Languedoc vase with accentuated relief and generous proportions in 1929. Fashioned in signature satin-finished and re-polished crystal, cactus leaves overlay in a graphic play on repetition. 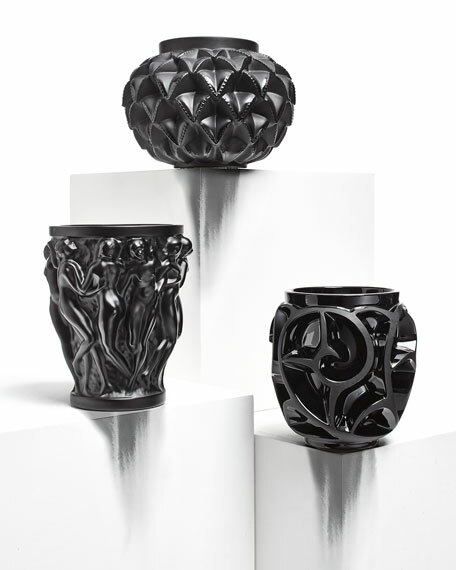 The iconic vase is re-imagined in a petite version in striking black crystal. Handcrafted vase of lead crystal. 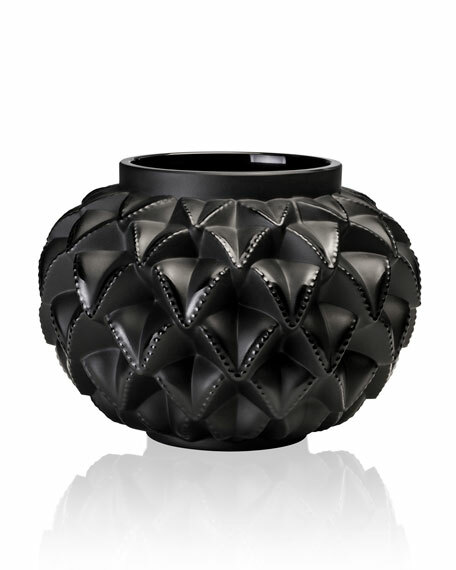 EXCLUSIVELY AT NEIMAN MARCUS Handcrafted and hand-painted vase of lead-crystal and gold. Limited edition of 25. Our gilder uses "Versailles"
Handcrafted vase. Heavy-gauge steel underbody hand painted with checks and ceramic glaze. Bronzed stainless steel rim. 5"Dia. x 4.75"T. Hand wash. Due to the nature of handcrafting, vases may vary. Imported. Designed by Malin Lindahl. Faceted, asymmetric vase. Made of lead crystal. Hand wash. 6.875"Dia. x 9.25"T. Imported. "Colleen" flared vase by Waterford Crystal. Made of faceted full-lead crystal. Approx. 8.3"Dia. x 12"T. Care: Wipe with soft damp cloth. Handcrafted in Ireland. Note: Contains lead.